The long debated issue of legalized and regulated internet poker has had some serious developments this week. 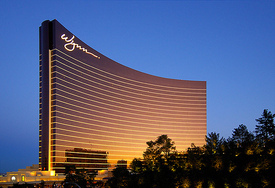 On Friday, Wynn Resorts announced its entry into a “strategic relationship” with internet site PokerStars. The companies will first work to secure the passage of federal legislation, according to a press release. Steve Wynn, Chairman and Chief Executive Officer of Wynn, has opposed legalized internet gaming in the past, calling it impossible to regulate, according to a New York Times article this past October. 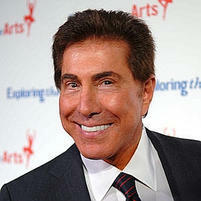 However, the casino CEO has evolved his stance on the issue. The deal between Wynn Resorts and PokerStars isn’t the only land-based casino and online card room pairing in the works. On Thursday, the Nevada Gaming Commission unanimously approved the suitability of a relationship between Caesars Entertainment, owner of the World Series of Poker brand, with subsidiaries of 888 Holdings LLC. While the partnership doesn’t change anything for US players, the approval is noteworthy because it shows that regulators are OK with Caesars associating with an internet gaming company. If Internet poker is legalized in the United States, or exclusively in the state of Nevada, Caesars is in position to have hardware and software in place, according to the Las Vegas Sun. The business arrangements between Caesars and 888, and more specifically the Wynn-PokerStars alliance that only mentions federal regulation on the issue, don’t make a reference to recent developments on the state level to legalize internet poker. On Thursday morning, the Assembly Judiciary Committee held a hearing on a bill for online card playing in Nevada, which is backed by PokerStars. The more than two-hour long discussion of Assembly Bill 258 began with testimony from chairman of the Assembly Judiciary Committee, William Horne. Horne introduced AB258 on Mar. 10, per the request of former Assembly speaker Richard Perkins. PokerStars hired Perkins to lobby for the company at the outset of the legislative session, according to the Las Vegas Review Journal. Also present at the hearing was Team PokerStars Pro Vanessa Rousso. In her brief testimony, she called the bill “a very feasible and practical solution” and explained that regulated internet poker could bring increased tourism to Nevada, in response to concerns as to whether regulated internet poker would hurt the ancillary benefits brick-and-mortar casinos with poker rooms receive. The reduction in casino attendance is one of the most forceful arguments against regulated internet gambling. While nearly every Nevada casino opposes the bill in favor of blanket federal legislation, there has been one Nevada gaming entity to explicitly offer public support for AB258 since it was proposed earlier this month. 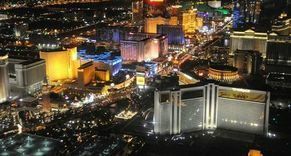 On Tuesday, South Point Hotel and Casino owner Michael Gaughan issued a statement regarding Nevada’s push to legalize online poker, according to the Las Vegas Review-Journal. The internet poker bill could face another adversary in the form of Nevada’s Gaming Control Board, which would likely oppose the bill’s provisions that restrict its discretion in granting internet gaming licenses, according to the Las Vegas Sun. Horne’s legislation would open the door for existing poker sites to put up shop in Nevada, without worrying about the board blocking such action. Gaming Control Board chairmen Mark Lipparelli signed in as neutral to the bill at the Thursday hearing. If the bill were to eventually navigate past its road blocks, it would force online poker sites to pay a 6.75 percent tax on the rake generated from players in Nevada — which is the same percentage Nevada casinos pay on gross gambling revenue. In exchange for the legalization of providing online poker in Nevada, internet poker companies would fork over a four percent tax on the rake collected from every player in the world. Meaning, for example, if two players in Europe were competing heads up, part of the rake from the table would be taxed in Nevada. Legalized internet poker could help fight Nevada’s $2 billion budget deficit, by providing an estimated $65 million in taxes annually, and 13.5 percent unemployment rate. Horne has stated in the past that PokerStars could create 500 high-tech jobs if the bill were passed. In addition, AB258 potentially could offer relief to Nevada casinos, which lost $3.4 billion in 2010.